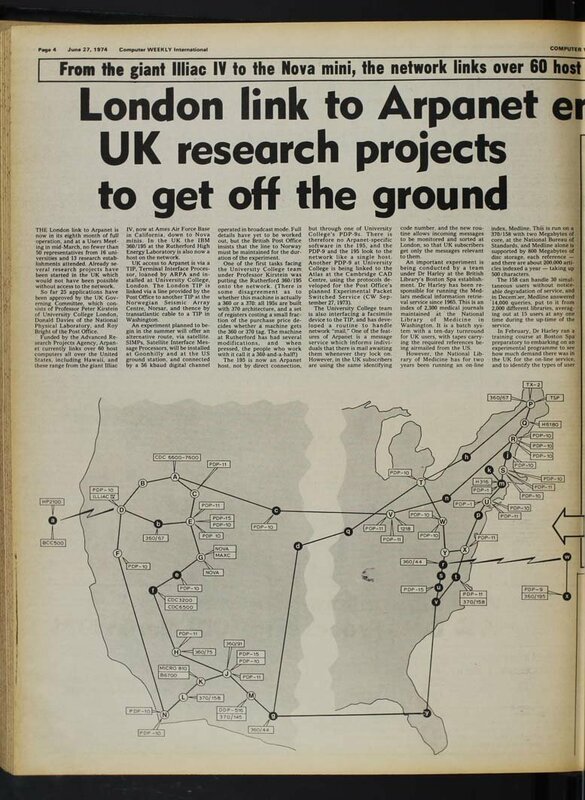 The London Link to Arpanet is now in its eight month of full operation. At a Users Meeting in mid-March, no fewer than 50 representatives from 13 research establishments attended. Already several research projects have been started in the UK, which would not have been possible without access to the network.